Periungual Warts Treatment: Wart Under Fingernail Toenail – Tough Cure? Periungual warts can be painful and unsightly, especially those wart under fingernail or toenail. So what are the periungual warts treatment options, alongside their pro and con comparison? Periungual Warts – Definition, Causes, Symptoms. 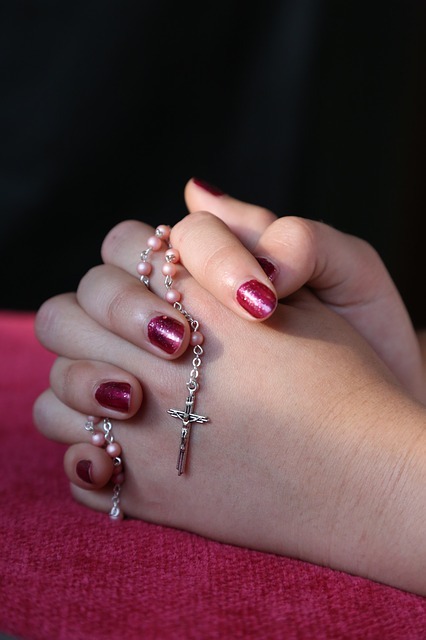 Periungual warts, also called Subungual warts, are warts appear around or under fingernails and toenails. These warts start off with the size of a pinhead, smooth and not that visible to the naked eye. As weeks pass by, these will grow to the size of a pea, then turn into irregular and rough bumps. Periungual warts can develop under or around fingernails. These are often common among people who bite and pick their nails. The break in the skin allows an easy entry for the virus that causes the development of warts. Once the virus enters the skin, this can lead to abnormal growth of skin cells, causes the top layer of skin to grow rapidly and forms a rough bump similar to that of a cauliflower. Wart under fingernail can cause some degree of discomfort as they can extend under the nails. If the area around your nail is cut or bruised, or you have touched warts on other body parts and you don’t wash your hands – there is a high risk that you will develop subungual warts around or beneath your fingernail. Periungual warts can also be found in toe nails that can develop among those who usually walk with their bare feet in the public showers as well as areas surrounding swimming pools – in which the virus that causes these warts often thrive in these places with warm and moist environments. The warts can form large lesions that can become very painful as they continue to grow, and affect your nail’s natural growth. Periungual warts can cause the nail to be permanently reformed, while there are also cases when it can cause serious problems once the subungual wart reaches the nail plate and eventually lead to fungal infection. Periungual Wart Treatment And Removal: The Options? affect the patient’s quality of life with discomfort such as pain and itchiness. affect nail growth and cause the nail to be permanently reformed. potentially spread to other parts of your body or to other people. Surgical excision that cuts out the wart with a surgical knife. Cryotherapy uses liquid nitrogen to freeze off the warts. Laser surgery uses laser to burn your wart until the tissue gets destroyed. Watch the video below in which Dr. Alec Hochstein performed surgical excision of periungual wart around toenail, using a combination of electrocautery and curettage. While you should check with your local medical institute to determine the exact periungual wart surgery cost, refer below table for your quick reference to get a feel of the consultation fee and surgical wart removal cost range. 1. Surgical procedure by doctors and dermatologists are professional wart removal approach, that includes providing professional consultation to address questions from the wart patients. 2. Surgery for warts is usually quick treatment to remove the wart fast, though it may not permanently get rid of warts, just as what Dr Paul Thomas MD said to his patient: “you got about 50-50 chance the cryotherapy freeze treatment is all you need… but there is also 50-50 chance that we might need to do this again“. 1. Surgery is very expensive, and the cost may not be covered by insurance unless it is medically necessary. 3. Some people find visits to doctor are time consuming and embarrassing, while several treatment sessions may be required. 4. Invasive wart surgery procedures like surgical excision may cause scarring. When people are fazed by how much does it cost to surgically remove periungual wart, it is natural that they look for more cost effective alternatives like over the counter treatment. Indeed, topical cream is normally the first treatment preferred by most people, with invasive wart surgery is considered when wart is unresponsive to topical treatments. 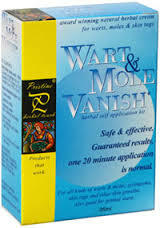 Wart & Mole Vanish cream is another natural product formulated to treat skin moles, skin tags, and warts. Wart & Mole Vanish cream contains fig plant, greater celandine plant, lemon, cashew plant, and other natural ingredients. 1. Over the counter treatment is at significantly lower cost in comparison with wart removal surgery. 2. OTC topical cream application is convenient, time-saving, and allows wart treatment at home with privacy without the hassle of embarrassing doctor visit. 3. 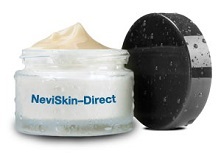 Topical ointment treatment is relatively pain free compared to surgery. 4. Conveniently available to be purchased over-the-counter or online, and available without a prescription at most times. 2. OTC cream treatment does not remove warts overnight, vs surgery that normally get rid of warts as a day surgical procedure. 3. May not be effective to remove extremely stubborn warts. There is no one single “best” periungual warts removal solution, as different people may have different pain tolerance level, financial capability, and preference on the treatment approach. This guide should provide an overview on the options of how to get rid of periungual warts, to help you make an educated decision. Not all patients afford the hefty medical consultation fee and professional treatment cost, while some may find doctor visits are time consuming and embarrassing, some have concern that invasive surgery may leave scar. For those who are exploring over the counter treatment, below are the top 2 topical creams that can help periungual warts treatment at home – without prescription required. ← Benadryl for Hives Treatment: Good Solution or Hives Still Not Going Away?